Every mechanic wants to be able to diagnose vehicle problems with accuracy, but the dynamic nature of automotive design makes it difficult for even the most dedicated of experts. A recent technical workshop involving Gates highlighted degrees of uncertainty in connection with scheduled timing belt replacements and the installation of water pumps. 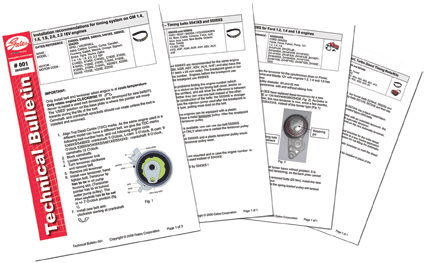 The Gates technical workshop programme is a modern way to keep abreast of drive system developments. These workshops are usually free to mechanics and organised by local motor factors in association with Gates, one of the world’s leading suppliers of timing belts and tensioners. 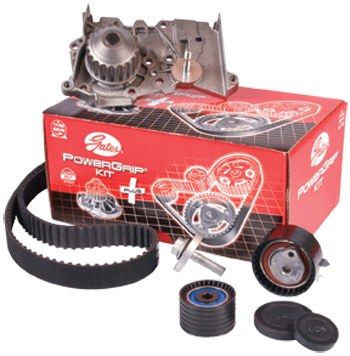 The wide variety of differences in drive system layouts means that there is no standard procedure for installing every timing belt. What can be applied to every installation is good engineering practice. 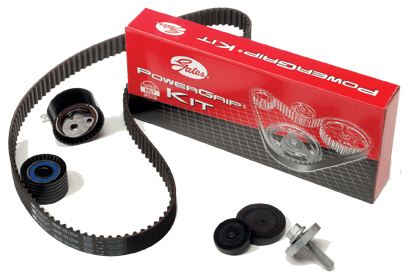 Gates runs technical workshops and its advice is to replace the metal parts at the same time as the belt by installing a timing belt kit. The recommendation is based on the knowledge that modern belt tension is high, that belt replacement intervals have increased and that components in the drive system are subject to variable amounts of wear. While many garages agree, some attempt to save the customer money by installing just the belt. It is a risky strategy that could cost both the customer and the garage much more over the long term. Gates workshops provide mechanics with a platform to discuss installation procedures with other drive system specialists. The question of the best time to replace a water pump was raised in the context of preventive maintenance. Gates believes that a scheduled timing belt change is the best time to replace the water pump as much of the preparatory work and chargeable time has already been done. Some garages would rather not do so because the water pump seems fine. 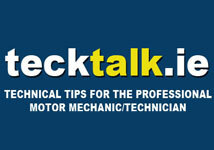 Waiting for a water pump to develop a problem is risky and assumes the driver will notice it in good time, says Gates. The debate moved on to the choice of water pump. For example, a few years ago, Gates introduced a water pump kit in response to installer demand. Mechanics wanted the kits because some water pumps and belts need to be matched. If they are not, there is a risk of premature drive system failure. For example, the pulley profile might not match the belt that drives it. In such cases, the belt takes excessive strain and may shred. If the belt is blamed and replaced, the new belt will not resolve the problem. If a drive system failure does occur for any reason, the choice of a single supplier will involve the garage in one investigation procedure rather than two. This saves time and eliminates the chances of a dispute about the origin of the failure. In the meantime, the vehicle has to be repaired and the bill has to be settled. In the event of a premature drive system failure, inspection of the parts is likely. Gates argues that, wherever possible, timing belts and water pumps should always be changed at the same time and that they should be sourced from the same supplier because of the degrees of assurance it provides. Gates says that by replacing individual components, the responsibility of the mechanic is increased. For example, by replacing just the timing belt, a decision has been made that the tensioners and the water pump are good for another duty cycle. However, in the event of failure, the customer might be inclined to ask why the drive system was not subject to a complete overhaul. The mechanics in this particular workshop agreed that given a drive system’s susceptibility to wear and the need for specialist tools to maintain them, an overhaul of the complete SBDS makes sense, especially given the complex nature of some of the designs. However, they were unsure about how their customers might respond. All agreed that at the end of the day, they wanted customers to return because they thought the service was good, not because they thought it was cheap. And so, faced with a choice between what is best for the vehicle and what the customer wants, adopt the role of “technical expert” and advise accordingly.